Do you remember making pomanders as a kid—an orange studded with whole cloves left to dry and scent the closet? 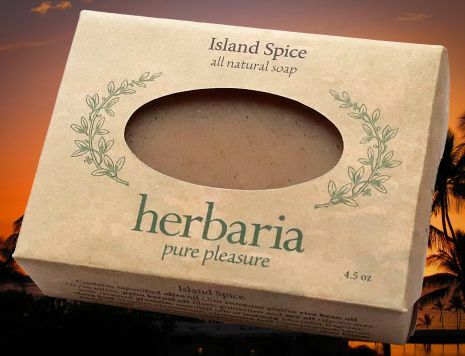 That is what Island Spice soap smells like. Very spicy and warming, like cookies in the oven. Originally a holiday inspiration, folks demanded this soap all year 'round. It contains essential oils of nutmeg, clove leaf, cinnamon leaf, orange, and tangerine, plus ground cinnamon for color. It's also superfatted with shea butter.